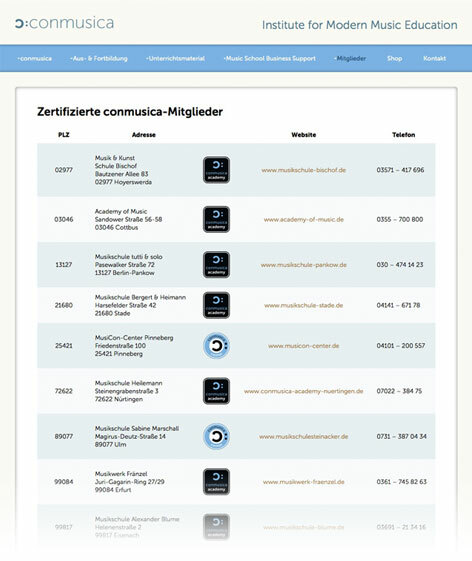 The company, founded in 2011, needed a website to communicate its comprehensive range of services and products. 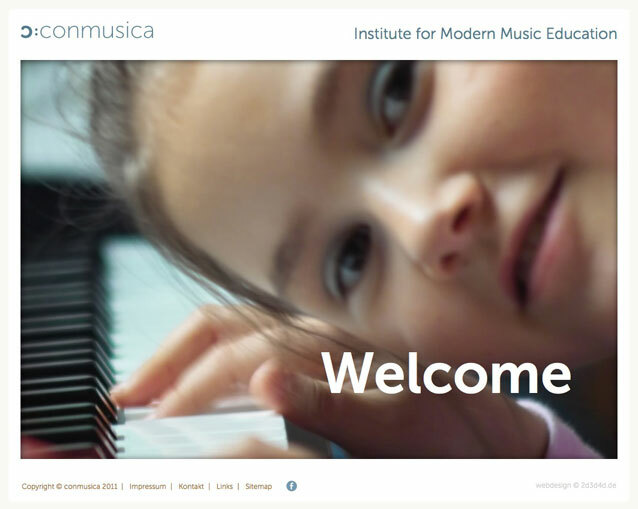 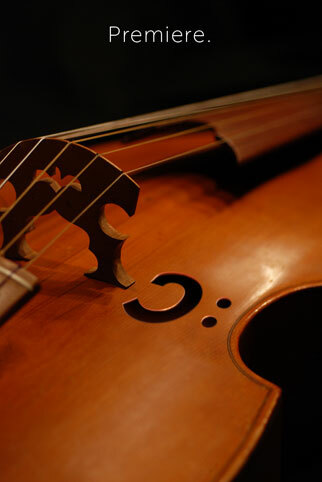 conmusica is a new company in the field of music education. 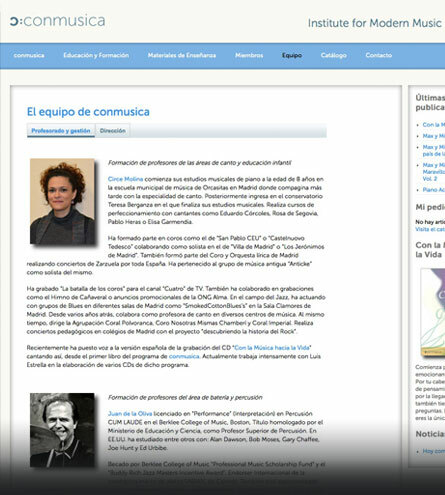 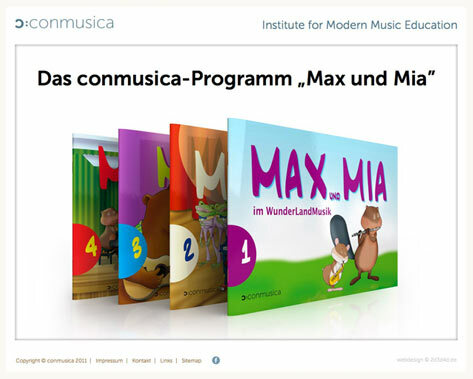 The conmusica team, consisting of musicians, music teachers, researchers and managers, creates programs and study- and teaching-material for music education in all kinds of educational institutions. 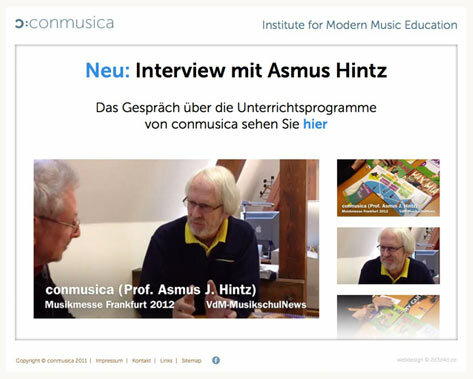 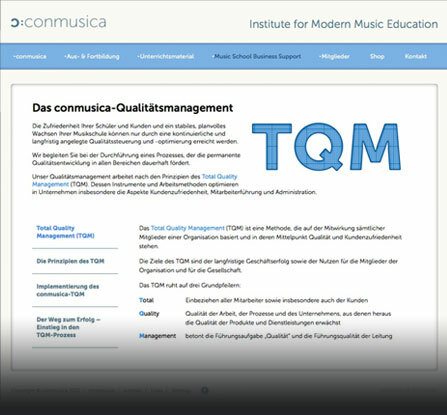 conmusica also advises music teachers and conducts seminars on music school- and quality management. 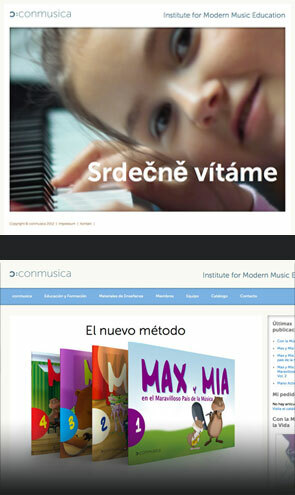 conmusica is presently represented in Germany, Spain and the Czech Republic. 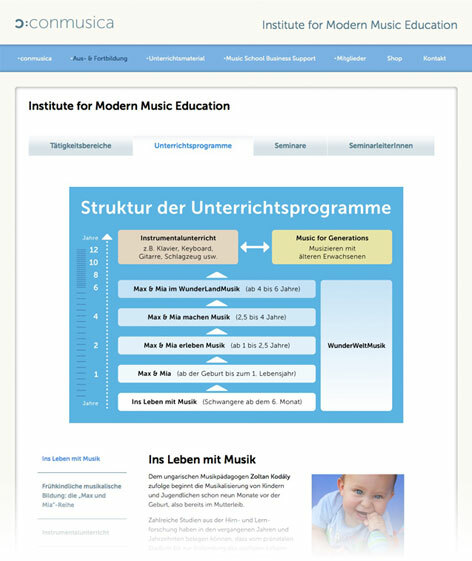 In addition to the website, we developed the entire corporate design: logo, stationary, mailings, exhibition stand, etc. 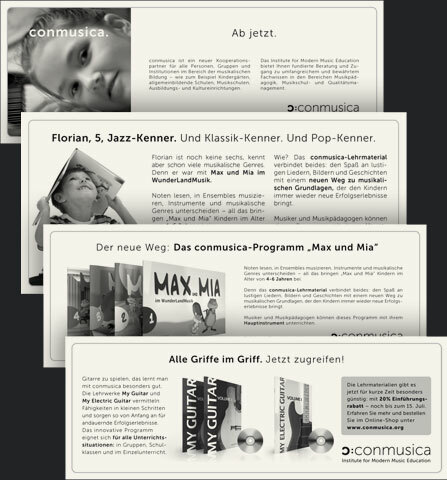 The print ads, too, are written and designed by us.